TO PURCHASE TABLES OR TICKETS, CALL 212.621.6780 or click below. With locations in New York and Los Angeles, the Paley Center is the premier nonprofit cultural institution that showcases the importance and impact of media on our society. The Paley Center has the nation’s largest publicly accessible archive of TV, radio, and new media programming. Referred to as a national treasure, the collection holds over 160,000 programs from over 70 countries, spanning almost 100 years. 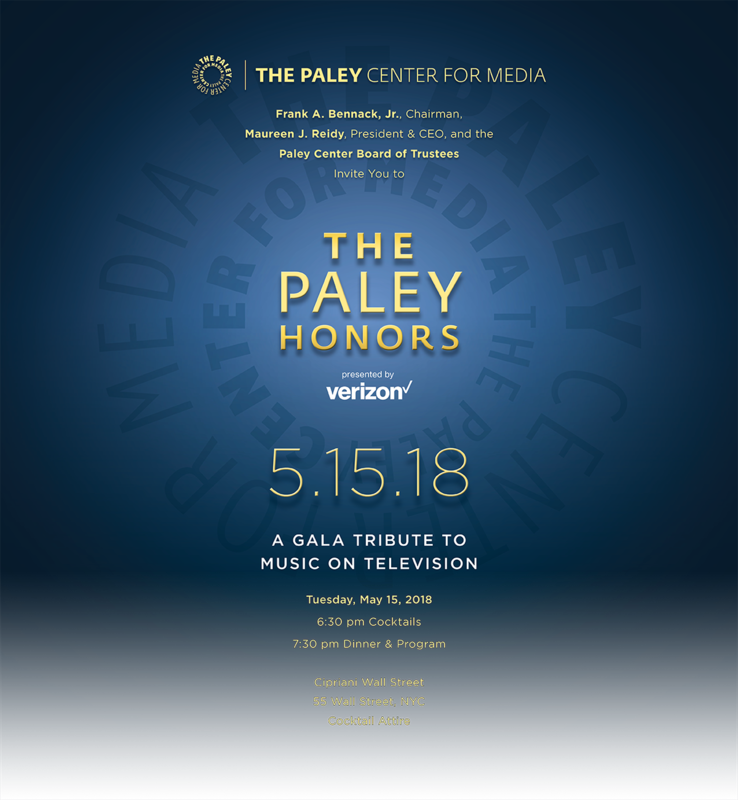 Previously known as The Museum of Television & Radio, the Paley Center was founded as The Museum of Broadcasting in 1975 by William S. Paley, a pioneering innovator in the industry. Entertainment: Where fans peek behind the curtain at exclusive screenings, unique exhibitions, A-List premieres, and star-studded events. Industry: Where industry icons and professionals engage in live discussion and debate through the Paley Media Council and Paley International Council. Social Impact: Where thought leaders come for critical discussions on the impact of media on our society. Education: Where students gather for important education classes for K–12 and member colleges, taught using the Paley Archive.